DVD includes Force-Fetching and Honoring. 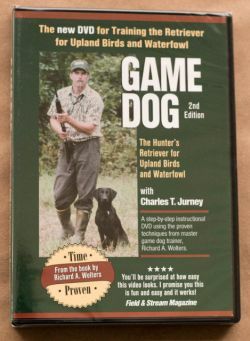 You too can train your dog with "Game Dog." 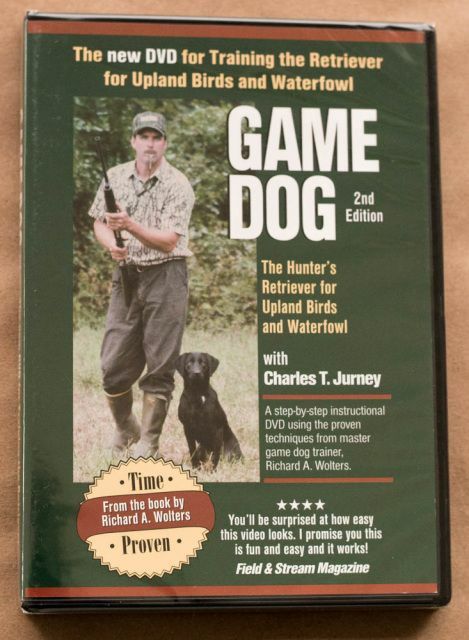 This DVD shows you step-by-step, the simple techniques used successfully by thousands of hunters to train their retrievers. DVD includes Force-Fetching and Honoring. You too can train your dog with "Game Dog." This DVD shows you step-by-step, the simple techniques used successfully by thousands of hunters to train their retrievers. Watch an expert use Richard A. Wolter's revolutionary training methods to rapidly turn a seven week old puppy into a skilled hunting dog. And, with the click of your remote, go to any of the 39 chapters instantly.